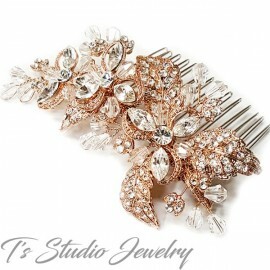 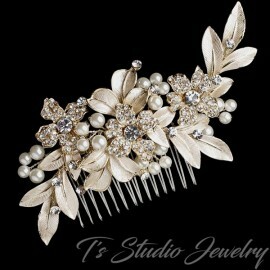 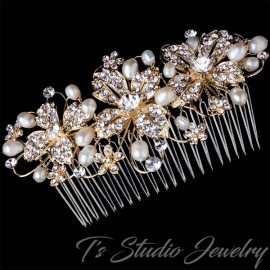 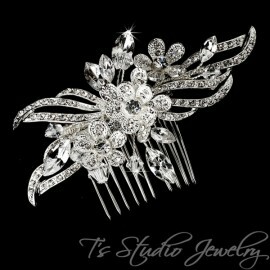 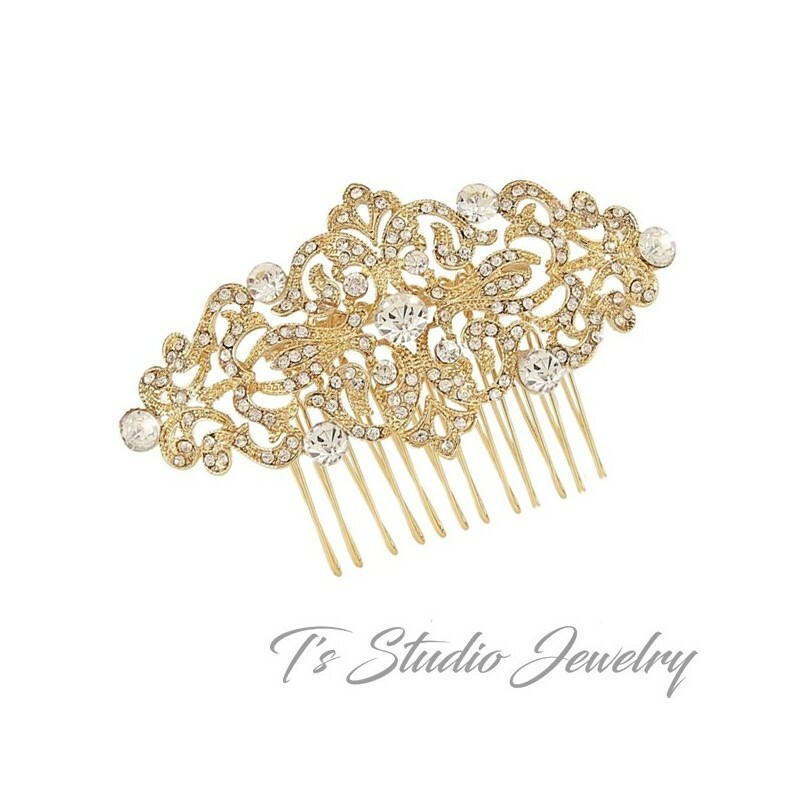 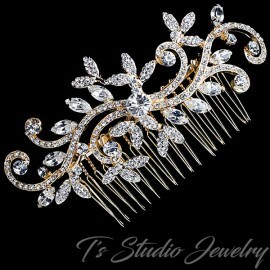 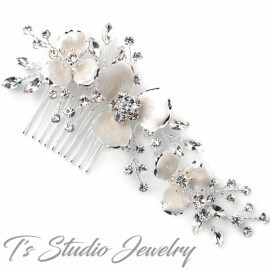 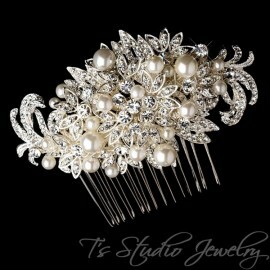 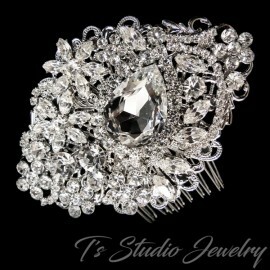 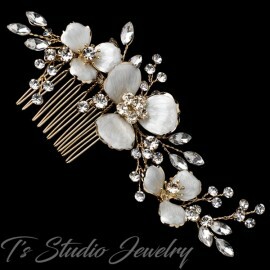 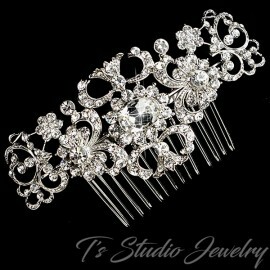 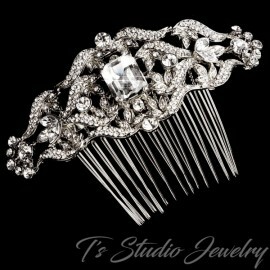 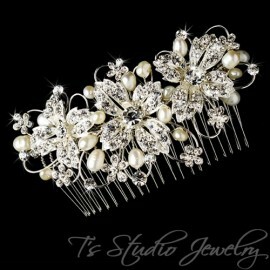 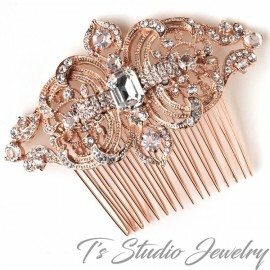 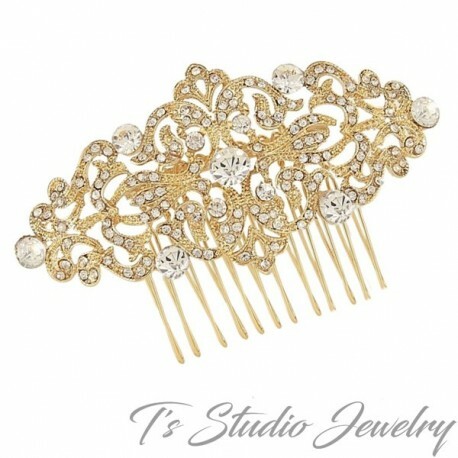 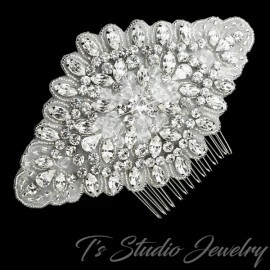 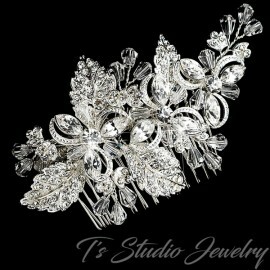 JULIET Vintage inspired crystal bridal hair comb with clear crystals on a gold plated finish. 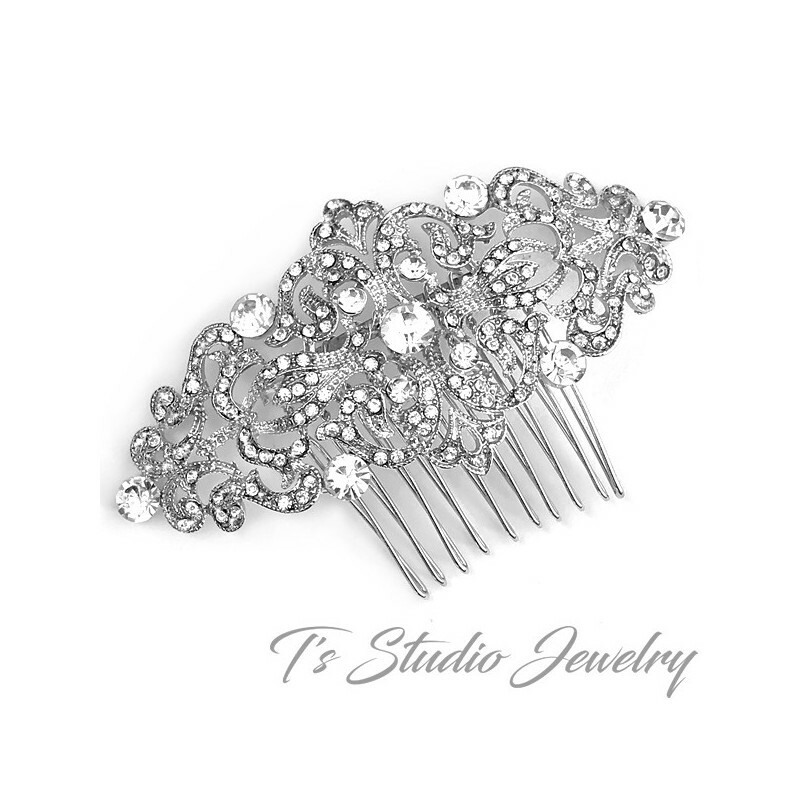 This gorgeous, vintage inspired bridal hair comb features a handful of clear crystals and intricate gold plated details fully encrusted with dozens of dazzling rhinestones. 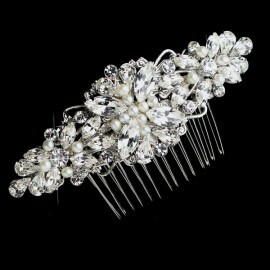 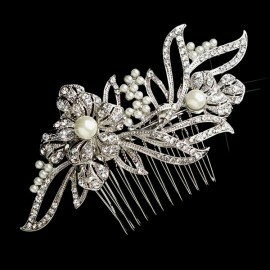 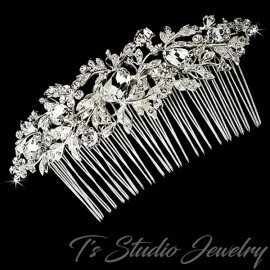 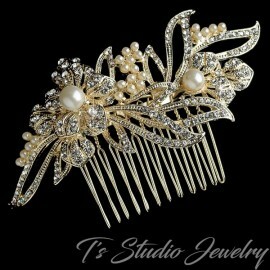 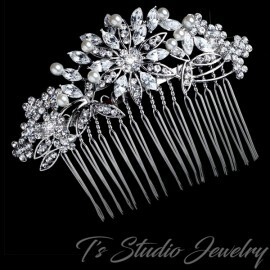 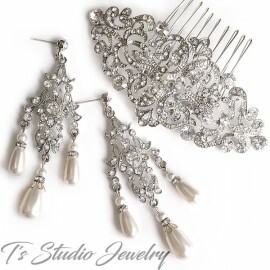 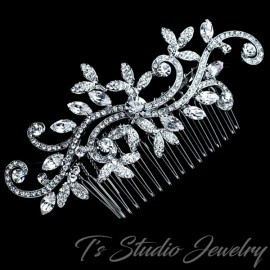 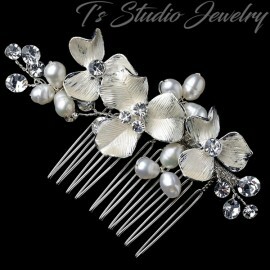 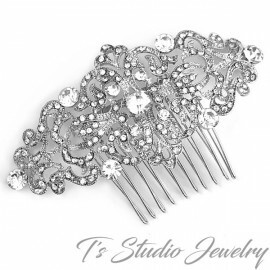 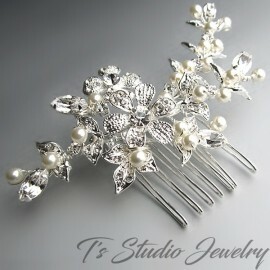 Bring an extra touch of glamour to your bridal hairstyle with this striking hair comb.